Unstable blood sugar. Energy crashes. High blood pressure. Constipation. Depression. Inflammation. High cholesterol. Acne. These are just a few of the unwanted consequences of eating a diet high in refined grains. Refined grains, starches, and sweeteners are processed carbohydrates that are low in fiber and high in glycemic index. Just how much is lost? According the Whole Grain Council, refining wheat removes half or more of a wide range of vitamins, minerals, and other nutrients—including 78% of its fiber. Unlike refined grains, nature produces a whole grain in all its glory—with the bran, germ, and endosperm. All of these parts are essential for providing the rich, balanced, naturally-occurring nutrients in their original proportions. The bran and germ (outer and inner layer, respectively) hold concentrated amounts of fiber, vitamins, minerals, and antioxidants. Refined grains completely remove them. The endosperm (middle layer) contains starchy carbs and is relatively low in nutrients compared to the other two layers. It is basically high in calories and low in nutrients. (Nutrient density goes out the window!) Refined grains keep this layer and manually add back a fraction of the nutrients that are thought to have been removed. Even though whole grain consumption in America grew about 20% from 2005 to 2008, most Americans still don’t make all their carbohydrates unprocessed and all their grains whole. Where do you fall in? Do you include 1 serving of unprocessed carbohydrates, such as whole grains, with each meal or snack? Can you swap your refined products with whole grain products? You can use them in mixed dishes, soups, pilafs, salads, and side-dishes. The benefits of whole grains are overwhelming. Rich in fiber and with a low glycemic index, whole grains produce short and long-term benefits. They help lower the risk of heart disease or the discomforts of constipation or diverticulosis. They can even help with weight management. Consider a recent study done by Danish researchers at the University of Copenhagen. Researchers followed overweight and obese women for 3 months. Women ate calorie-restricted comparable diets with either refined wheat or whole wheat. Even though both groups lost weight, only one of them showed a greater drop in their percentage of body fat—the whole wheat eaters. Also, the total and LDL cholesterol levels of the refined wheat eaters increased. These claims do not guarantee the product is a whole grain. To be safe, read the ingredient list (Don’t forget your reading glasses!) Look for the word “whole” and the number 100%. Don’t settle for less. A combination of whole grains and refined grains is not a “whole grain” product. If it says “enriched”, “degerminated”, “bran” or “wheat germ”, it is not describing a whole grain. White flour, white rice, and de-germed cornmeal are all refined grains. The world of whole grains is far from boring. The more you familiarize yourself with the whole grains that are available, the more variety and subtle differences you will see in their color, texture, shape, and taste. 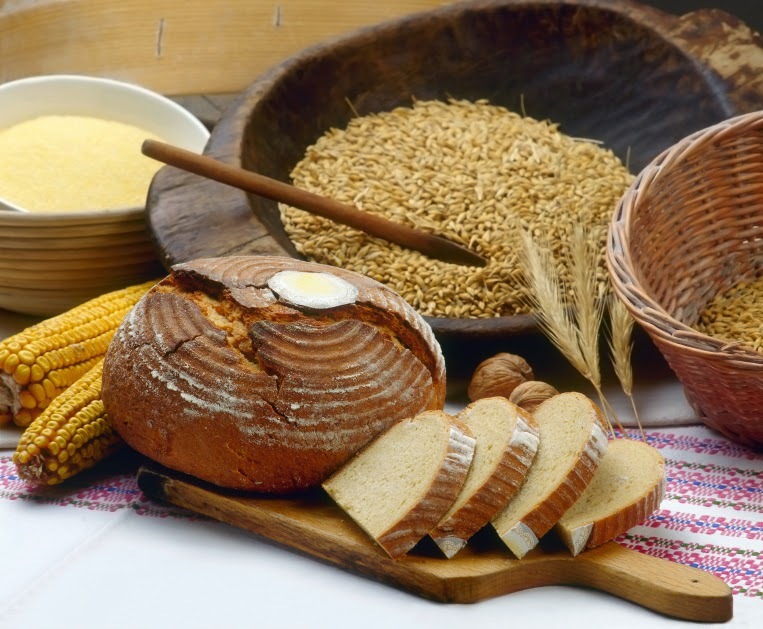 What are some whole grains to look out for? Whole grain products, like whole grain low-carb bread, whole wheat low-carb tortillas, or whole wheat pasta are also great ways to include whole grains in your meals. Remember, the benefits of whole grains are most evident in the context of an overall healthy diet. Whole grains, alone, will not solve or prevent all health problems. Whole grains should be part of a balanced diet. Since exercise and diet go hand-in-hand, your balanced diet should be paired with a regular physical activity regimen. For best results, fuel your workout with the best quality ingredients and pure sources of energy such as EnergyFirst protein shakes. Combining all of these factors will help you fight off disease while living an energetic, balanced life. The Journal of Nutrition, April 2012; 142(4):710-6.